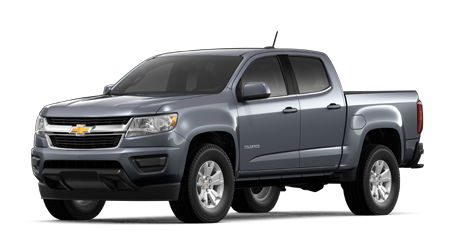 If you're looking for a pickup that boasts a towing capacity of up to 7,700 pounds, a fully boxed frame and wireless charging, meet the Chevrolet Colorado! Secure a competitively priced sedan that comes standard with a turbo engine, rear vision camera and smartphone capabilities, opt for a Chevrolet Cruze. 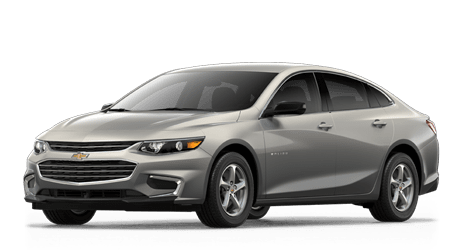 The midsize Chevrolet Malibu sedan is designed to impress, what with its phone integrations, built-in 4G LTE Wi-Fi hotspot, and choice of two turbocharged engines! Treat yourself to a truck that offers 62.9 cubic feet of bed volume, six advanced powertrain options and advanced trailering technologies, opt for a Chevrolet Silverado 1500! Welcome to Suburban Chevrolet, where customer satisfaction is always a top priority! Our new and used Chevy dealer in Claremore, Oklahoma, is here to customize an automotive experience to suit your needs, whether that be trading in, securing financing, browsing the new or used cars we have in stock or visiting our service center for much-needed vehicle maintenance care. We've helped many of our Broken Arrow neighbors find, obtain and maintain the vehicle they deserve, and we look forward to treating you to the hassle-free, enjoyable Chevrolet experience that you deserve. Get in touch with our friendly professionals today! 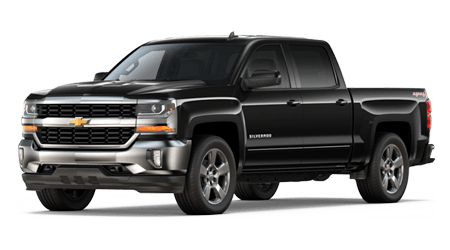 Our sales department will listen to your needs and introduce you to the Chevrolet Silverado 1500 truck trims that fulfill your new car search requirements while our loan experts start to negotiate competitive financing terms on your behalf. If you're looking to keep your Chevy Malibu running smoothly, head to our on-site service center or drop by our parts department if you'd like to complete maintenance work at home. Our new and used Chevrolet dealership near Tulsa, Oklahoma, offers a range of professional services, so don't hesitate to learn more about our dealership and the ways we can help you find the Chevy vehicle that suits your needs! If you're searching for driver-friendly priced new cars for sale that exceed your style, safety and quality expectations, head to our auto dealership in Claremore, OK to shop the Chevrolet lineup! 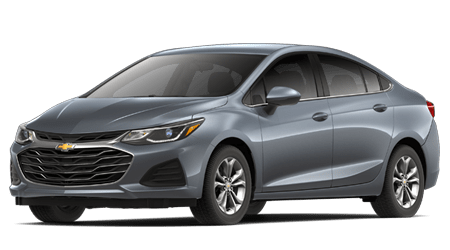 Our sales team can introduce you to the Chevy Cruze options that suit your personality or can walk you through the advanced safety systems that come standard on a Colorado. To help streamline your new car purchase process, we've made our inventory available right here on our website. Shop our Suburban Chevrolet new models for sale from your Sand Springs home now! Don't visit just any Oklahoma Chevrolet dealer when you're in search of well-maintained used cars for sale, turn to Suburban Chevrolet near Pryor to explore our impressive inventory! Here at our car dealership, we understand how important it is to have options. That's why we carry used cars from the Chevrolet lineup as well as pre-owned models from other brands! Our selections don't end there, we also stock certified pre-owned Chevrolet options that have endured rigorous testing and inspections, so feel free to peruse our used inventory today! Finance the sleek Chevy Corvette that you've been wanting with help from our new and used dealership near Oakhurst, Oklahoma. Here at Suburban Chevrolet, we have a dedicated finance center that will negotiate with many reputable lenders on your behalf. We've helped drivers of all credit backgrounds secure the Chevrolet vehicle that they deserve, so don't hesitate to complete one of our guided, no-obligation credit applications even if you hold a sub-prime credit score; we have competitive financing packages for you as well! Our Chevrolet service center can assist Tulsa, OK drivers of all auto brands, so visit us whether you own a Chevy Camaro or a ride from a different manufacturer. We'll complete all maintenance requests with genuine car parts after introducing you to all the service specials that are relevant to your needs. Easily schedule vehicle care from the comfort of your home, use our online booking form to request a tire rotation, oil change, multi-point inspection or any other service your new or pre-owned car is in need of! Our Suburban Chevrolet parts department is stocked with original equipment manufacturer parts and accessories, so visit us in Claremore before starting any at-home services or repairs. Our friendly team is familiar with the entire Chevrolet lineup so that we can assist with your part identification needs. If you know what it is your Chevy Equinox is in need of, put our online form to use by ordering genuine OEM car parts now! Should you be looking for installation assistance, our certified technicians are here to help! While our new and used Claremore, Oklahoma, Chevy dealership is not open 24/7, our interactive website is always here for you! Shop the new and used cars we stock, learn more about popular models, value a trade-in, apply for financing or peruse our incentives, all from the comfort of your Sand Springs home. When you're ready to visit us for a test drive or a service need, use our site to grab turn-by-turn directions to Suburban Chevrolet. We look forward to welcoming all those who have an automotive need!